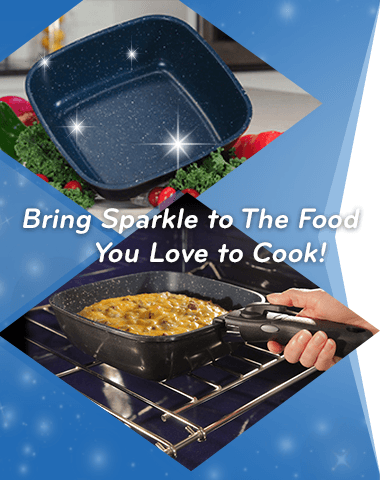 Bring Sparkle to The Food You Love to Cook! 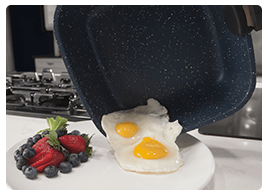 Superior Non-Stick Means Less Oil For Healthier Cooking and Easy Clean-Up! • Save calories! Taste healthy, natural flavours of your food! • Sear healthy salmon...stir-fry veggies...and grill chef quality steaks with no added oils or fats! 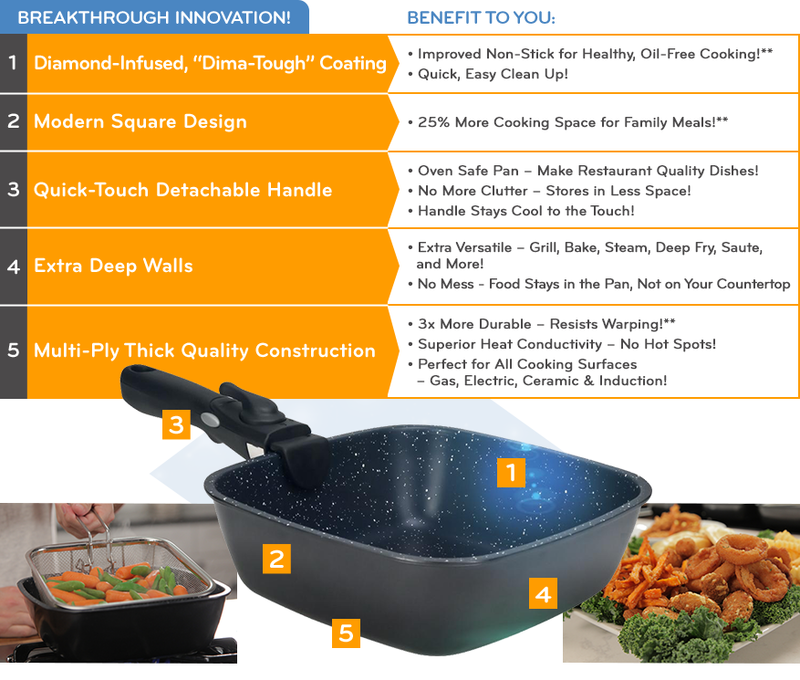 • Prepare mouth-watering, delicious family sized meals in one pan. 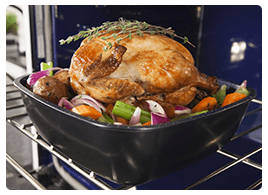 • Go from Stove-Top to Oven (up to 220 degrees C)! 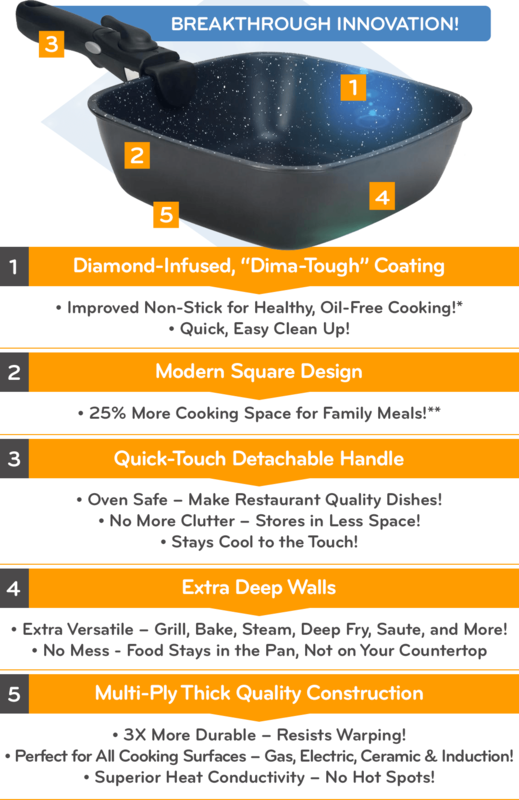 • End Stove-Top Clutter! 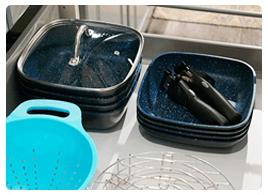 Keep your Stove-Top neat, clean and safe. • No More Storage Frustration! Stores in just a fraction of the space! • Allows for great versatility! 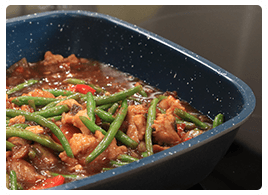 Use it as a wok for stir fry, a grill pan for burgers, and a deep dish for casseroles! 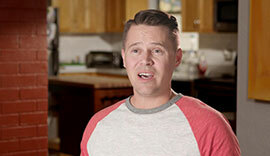 "What I love most is that it's non-stick, so I don't have to use the butters, I don't have to use the oils, and I can eat healthier." "Being able to remove the handles allows me to be able to put it in the drawers, put it in the cabinets and not fight with the leaning tower of pots and pans." Sear, Grill, Stir Fry, Steam, Saute’, Bake, Fry, Boil, and Much More! 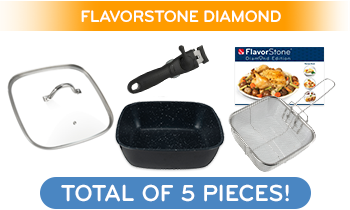 The Amazing FlavorStone® Cookware with Our 60 Day Money Back Guarantee! 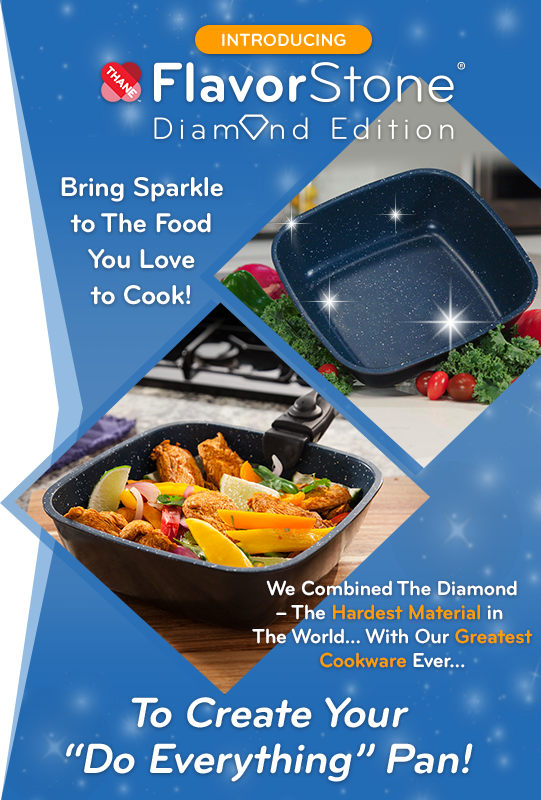 “Thane”, FlavorStone® Diamond and associated logos and variations are trademarks or registered trademarks, in Canada and/or other countries, of Thane IP Limited. The Trial Fee is non refundable.